Two Iranian hackers charged Wednesday in a federal indictment were accused of attacking the computer networks of hospitals and other targets in 43 states, a broad criminal extortion campaign that walloped a heart hospital in Kansas and disrupted one of the nation's largest diagnostic blood testing companies in North Carolina. Federal prosecutors said the three-year cybercrime spree caused tens of millions of dollars in damage from coast to coast. It marked the first U.S. indictment against foreign hackers engaged in a for-profit ransomware and extortion scheme. The two hackers developed unique tools to hold U.S. computer networks hostage from Iran, prosecutors said. The two Iranians, Faramarz Shahi Savandi, 34, and Mohammad Mehdi Shah Mansouri, 27, remain at large, presumably in their homeland, officials said. Assistant Attorney General Brian A. Benczkowski sidestepped a question about whether Iran's government sponsored the two, saying only that the indictment contains no such allegation. In one of the Iranian team's first alleged actions in 2016, it hit the computers of the 54-bed Kansas Heart Hospital in Wichita, which provides specialized cardiovascular care for patients throughout Kansas and northern Oklahoma. The hackers breached the networks of at least six health care-related entities, including Hollywood Presbyterian Hospital of Los Angeles and MedStar Health of Columbia, Md. Other targets of the Iranians' campaign included the networks of the cities of Atlanta (encrypted in March) and Newark, N.J. (April 2017), the Colorado Department of Transportation (Feb. 19, 2018) and the Port of San Diego (Sept. 25, 2018). Officials said the hackers were intent on creating disruption and inflicting physical harm as much as in collecting ransom, deliberately targeting health care facilities and hospitals. "Many of the victims were public agencies with missions that involve saving lives and performing other critical functions for the American people," Deputy Attorney General Rod Rosenstein said. "The impact that these indictments will have is unclear since the individuals are purportedly located in Iran and remain at large," said Kimberly Goody, a cybercrime analyst at FireEye, a major cybersecurity firm. One of the most recent attacks occurred July 14 against Laboratory Corporation of America, or LabCorp, a Burlington, N.C., diagnostic company that processes more than 2.5 million tests per week, and holds a patient database of nearly half the U.S. population. Its global footprint reaches 127 countries. "There is no evidence that any LabCorp data was removed from our systems," LabCorp said in an Oct. 26 statement. It said the attack affected access to test results for a limited period but that "operations were returned to normal within a few days." 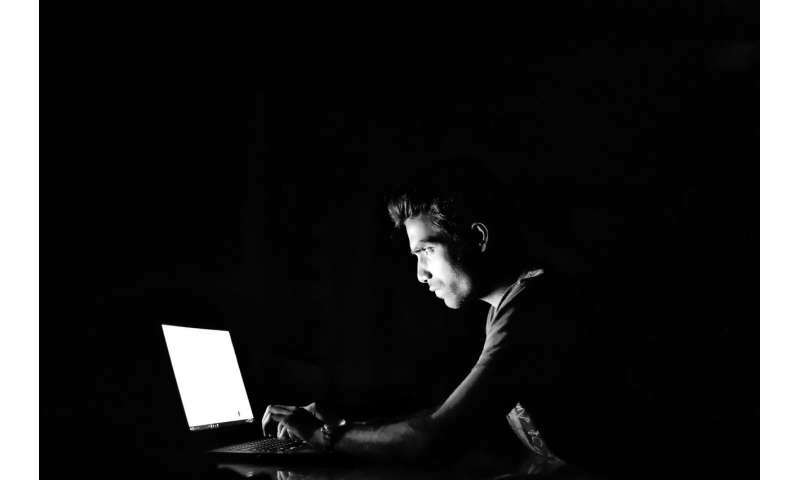 While an increasing number of victims of cybercrime are going to authorities, FBI Executive Assistant Director Amy S. Hess said, " I would surmise that it is not the majority yet." In separate but coordinated action, the Treasury Department slapped sanctions on two other Iranians that it said facilitated the exchange of Bitcoin ransom payments into Iranian currency. Treasury's Office of Foreign Assets Control, or OFAC, took the unusual move of publishing the digital currency addresses the two Iranians used and said that they conducted at least 7,000 transactions. "Anonymizers might not make you as anonymous as you think you are," she said. An expert on digital currencies, Yaya J. Fanusie, said the sanctions against the two additional Iranians, Ali Khorashadizadeh and Mohammad Ghorbaniyan, was aimed at the broader cybercriminal world. "These actions are a signal," said Fanusie, a former CIA analyst, adding that law enforcement officials are adapting to "emerging financial technologies like cryptocurrency." Fanusie said that while criminals can store Bitcoin in anonymous digital wallets stored at digital currency addresses, the movement of digital coins leaves "a public trail for anyone to follow and analyze."